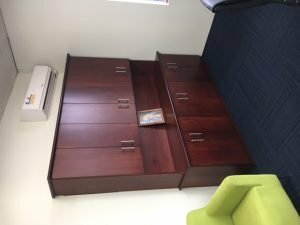 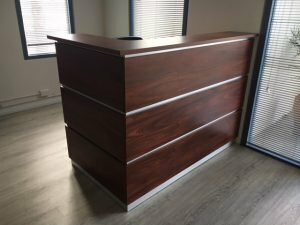 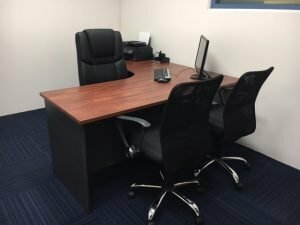 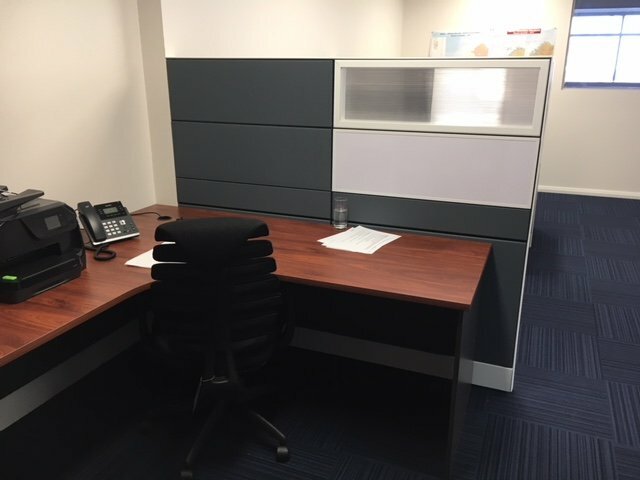 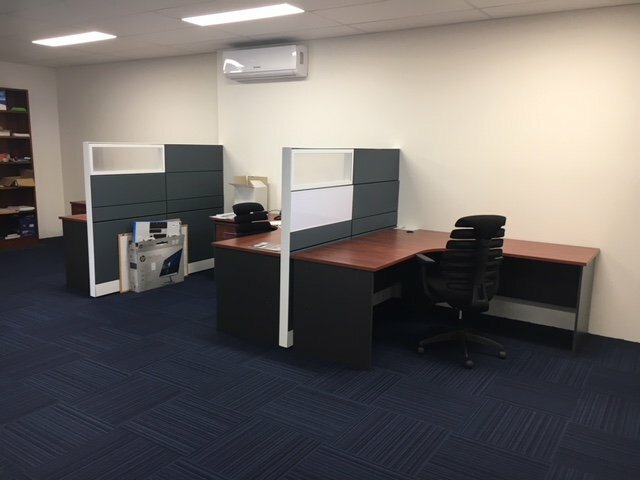 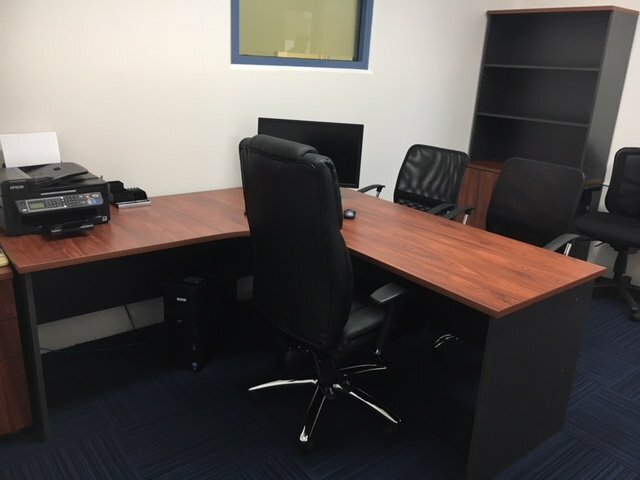 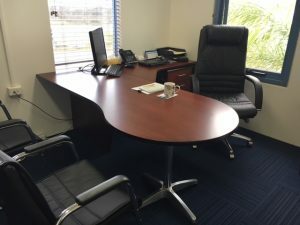 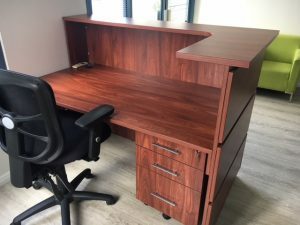 We supplied a rich polished Jarrah Veneer furniture in the Executive Offices and Boardroom area upstairs and complemented this colour with South West Jarrah Formica for the workstations, wall units mobile pedestals in the open offices, reception area, and main work area. 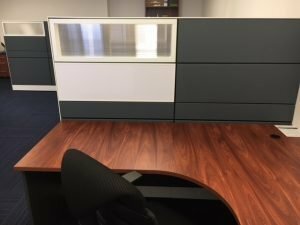 The clients request was to create a good open flow for the open plan area whilst also creating privacy for each of their workers. 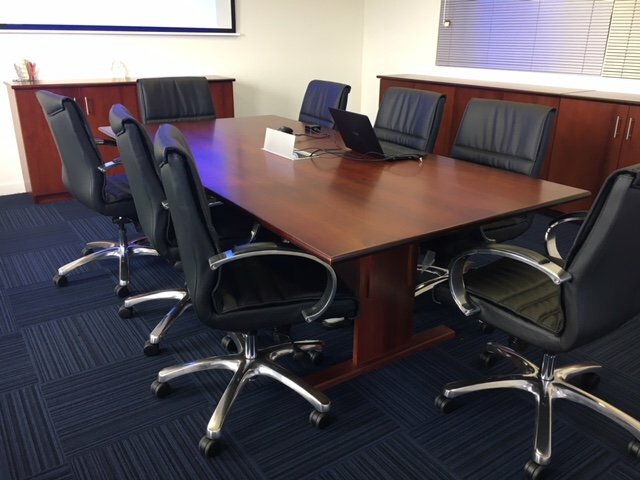 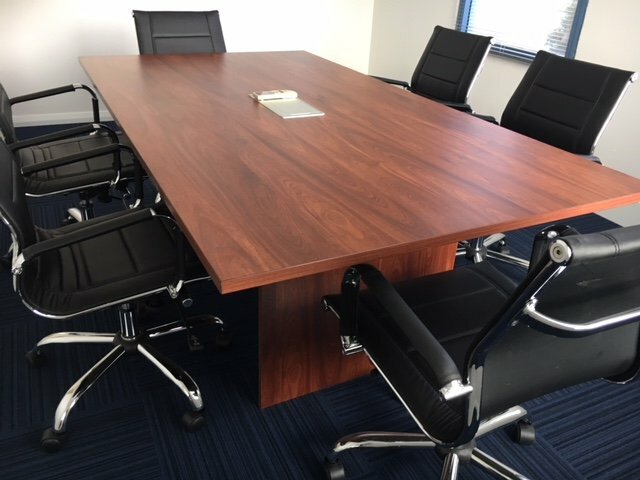 The boardroom table needed to have a classic look as a statement piece when meeting with their clients, and the Veneer stain was carefully selected to suit. We finished off the kitchen area with just a splash of Orange colour on the seats to match their corporate colours.